The Winning Team: (From L to R) Ms Kelly, Ciara, Jeffrey, Chloe, Grainne and Ms Murphy. Congratulations to the Newbridge College Concern Debating team and their mentors, Ms Catherine Kelly and Ms Deirdre Murphy, who won the Concern National Finals on Thursday 16th May in City North Hotel, Meath. Grainne Carr, Chloe O’ Reilly, Ciara Maher and Jeffrey Hovenden Keane battled against an outstanding proposition from Ardscoil Mhuire, Corbally, Co. Limerick. The two teams debated the very topical issue ‘The International Community must now take military action to topple the regime in Syria’. 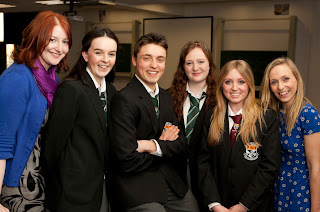 The Newbridge College team, opposing the motion, displayed a vast knowledge of the topic in both their speeches and rebuttal to emerge victorious on the night. One hundred and twenty schools and over five hundred students took part in the competition this year and the College team has won eight debates in a row to claim their prize. 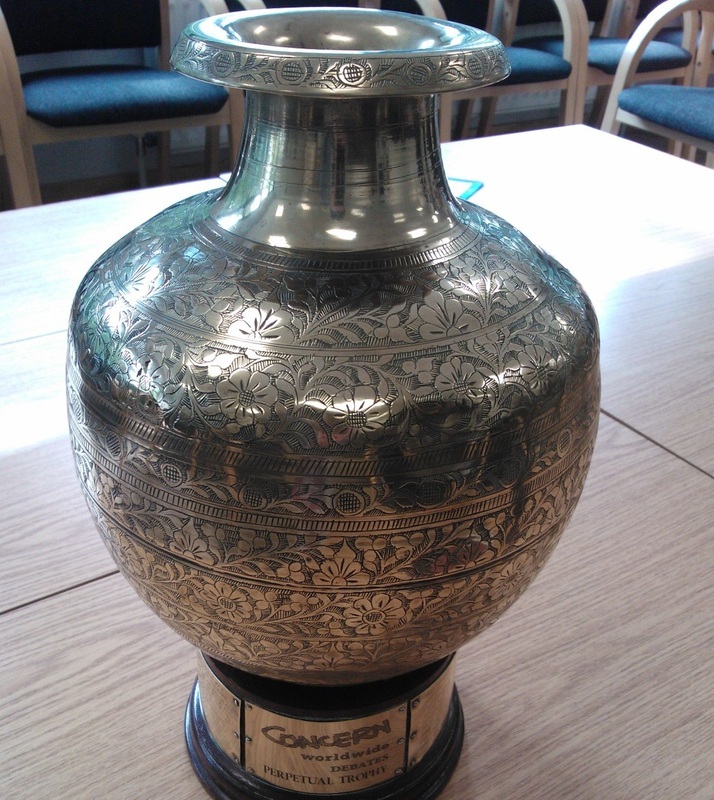 As well as the trophy, the prize for the winning team is a trip to Ethiopia to explore Concern’s projects first hand. The Concern Debates aim to promote a deeper awareness and understanding of global issues. It provides students with a public forum, to develop skills in research, presentation, debate and encourage students and teachers to become lifelong advocates on issues relating to poverty, justice and human rights.